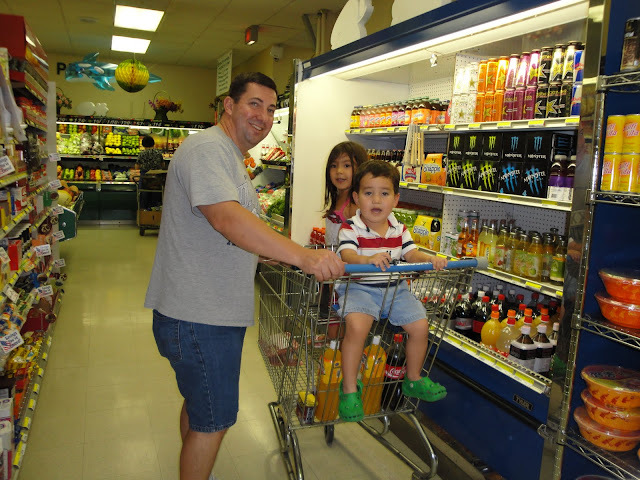 Groceries count for a large portion of the average family’s monthly budget. As a matter of fact, the average American spends as much as 33% of their income every month on groceries according to data from the USDA. However, a large portion of these costs could easily be lowered by making better purchasing decisions. Here are a few simple tips any family can apply to save on groceries. One of the best ways to cut on groceries is to buy in bulk. When you spot certain items on special, try to stock up on them as much as possible, as long as they’re non-perishable. You could also regularly check sites like Ecouponshub.Com and look for special offers. Cereals, cleaning supplies, dried goods, frozen fruit and vegetables and canned goods are all examples of things you could buy in bulk when you can. But it doesn’t stop with non-perishable goods. If you have enough storage space, you can also freeze or even pickle or preserve a lot of perishable fruits and vegetables. Make jams out of seasonal fruit. Make delicious pickles out of vegetables like beets, zucchinis or cucumbers. Make fresh sauce out of tomatoes or can them. These are all methods that will allow you to stretch conservation time and allow you to buy fruits and vegetables in bulk without wasting them. Meat is another area where you can apply the bulk effect. Supermarkets will charge you extra for special cuts of meats or meats that were processed. For instance, you’ll pay more if you buy ground meat then if you took primal cuts and grind the meat yourself. The same goes for cuts. Instead of buying chuck or flat iron steak, you could save if you buy the whole shoulder and portion it yourself. The less transformation that goes in, the less you’ll have to pay. And if you have a large chest freezer, you can easily stock up on meats when prices are cheap as well. You’d be surprised at how similar generic brands can be compared to name brands. In some cases, they are completely identical. This is the case for most over the counter medicine such as ibuprofen (Advil) or acetaminophen (Tylenol). Brand name cereals might not taste as good as the original ones, but if it’s for a toddler, then they most likely won’t tell the difference. When it comes to staples such as flour, sugar, salt or bleach for example, the difference will be barely noticeable, so you should always go generic. A lot of people are afraid to go to discount produce stores thinking that the produce will be of lesser quality, but that isn't always the truth. In some cases, discount produce stores sell fruits that have minor cosmetic imperfections or are near their expiration date. Most supermarkets are very strict as to which produce they will sell, so the quality of produce you’ll get will be just as good and you’ll barely be able to notice the difference. These few simple tips should allow you to save a ton on your next grocery bill. Always try to find new ways to be more frugal and smart with your buying decisions and your wallet will thank you for it. I have seriously considered buying a half cow before. It definitely seems more economical and I know we'd like it better. Awesome tips and pointers to save and what to look out for. I’m not a savvy smart shopper yet but I’m slowly getting there. I’m hoping someday soon I can also become a good couponer. Thank you for this. We do all of these things buying in bulk, stocking up when something is on sale. We also have the ability to grow and raise much of what we eat which really helps. We buy just about everything at a discount store and it seems so much money. I love all of these tips. I've never thought about grinding my own meat but I do have a meat grinder so it is actually not a terrible idea. I might just have to do this. These are really great shopping tips. I have to look into the site that you’ve mentioned. I try my best to shop in bulk when shopping for the family. It just makes the process a lot easier. We follow all your ideas! The meat, though, we stopped when we became empty nesters. We just couldn't eat it all. All great ideas for savings on groceries, I always use the generic brands even though my family sometimes differs. I love a good fruit stand for produce. I always love to save on groceries. Especially during the summer when my kids won't stop eating. I buy in bulk when I can, and I always use coupons! 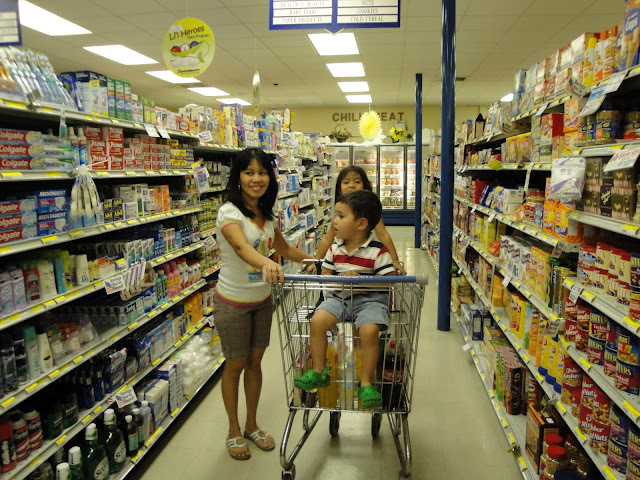 Awesome tips on how to save from groceries especially if you're a large family. It's always nice to buy in bulk! I have to get in the habit of buying bigger cuts of meat - it's just a good idea! I imagine it can be more economical too. WE do a lot of shopping in bulk. If you're savvy about it then you can save a lot of money that way. I am not yet a family person but I totally agree with your shopping tips. Definitely the best ideas is buying in bulk and those with promotions but making sure of checking out the expiry dates too. I'm just a single girl but I love learning how to save money on my groceries any way I can! Thanks for these tips!! It's usually just my husband and I at home but I still buy in bulk so we don't have to keep going back to the grocery often. Love these tips of yours! These are all really great tips to save on groceries! I also would suggest using coupons and checking the mail to see whats on sale at the store that day/weak. Thanks for sharing! My husband and I were just talking about ways we need to save money. These are great tips!